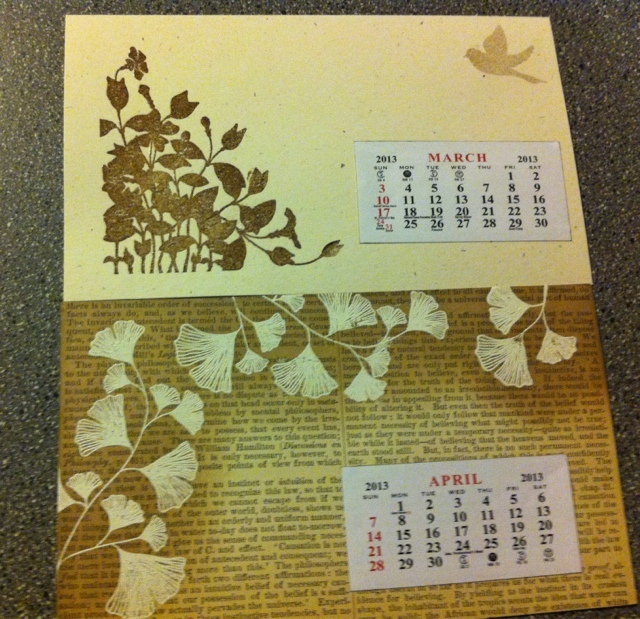 Wanted to share a 2013 calendar that I made for my sons teacher this year. 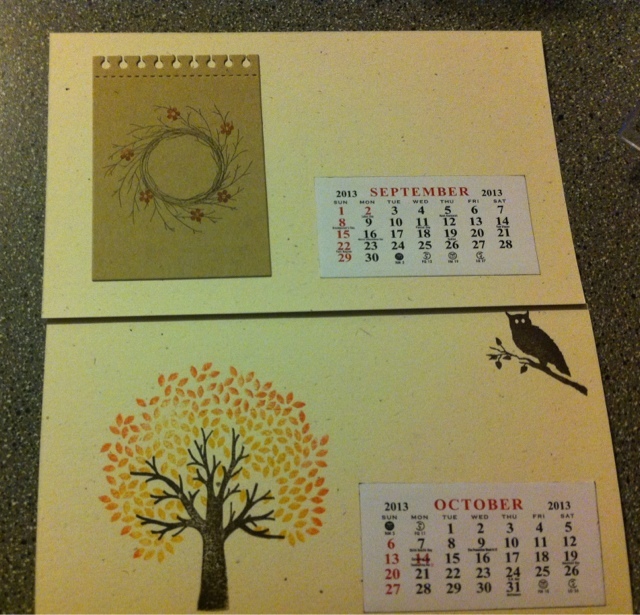 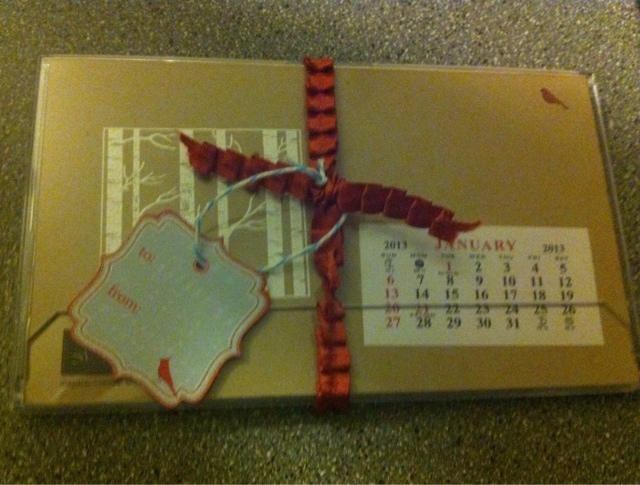 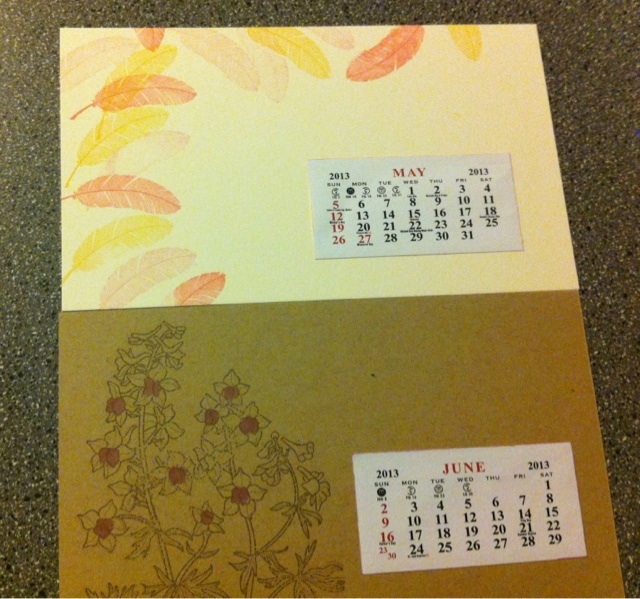 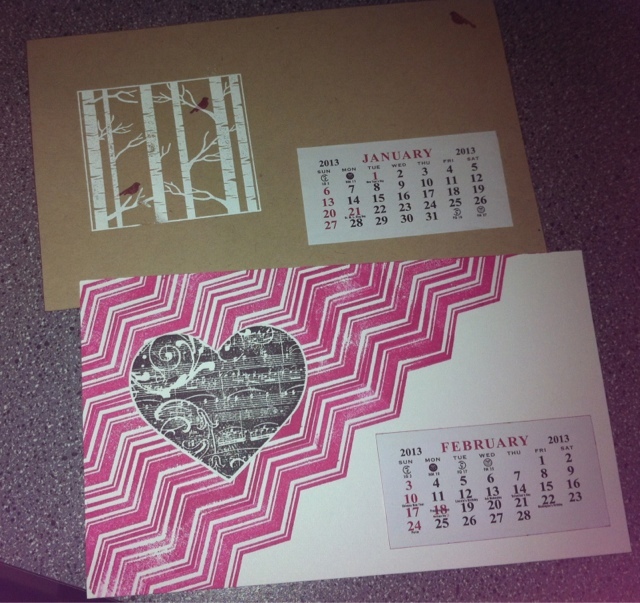 I bought the landscape cd cases from SU and stamped my calendars onto card stock. 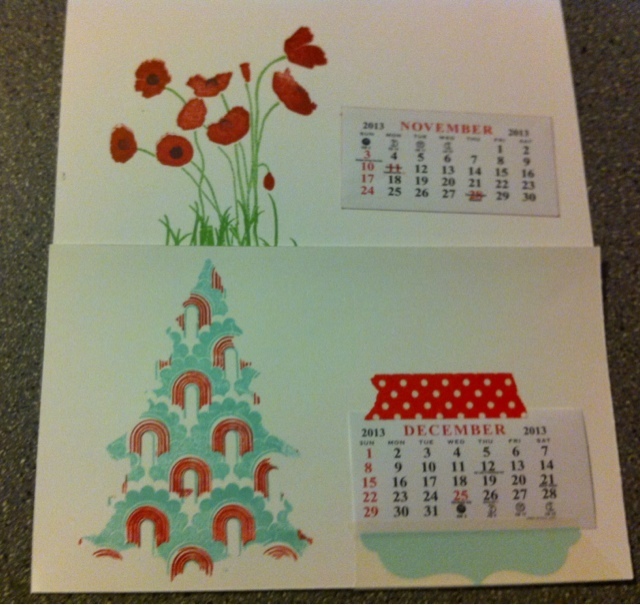 The mini calendar pages are from Impress. 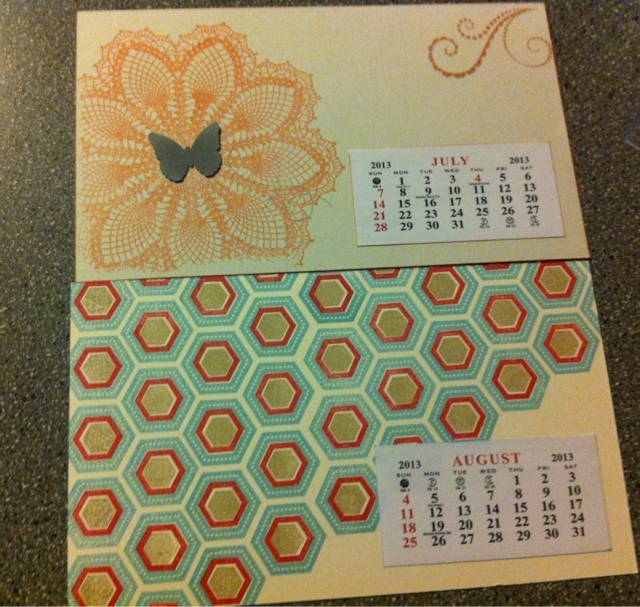 Lots of stamps used here, email me if you have any questions.